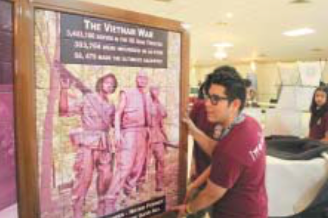 Channelview High School Interact Club members assemble a memorial wall honoring local soldiers killed in action at the North Channel Salutes event this November. 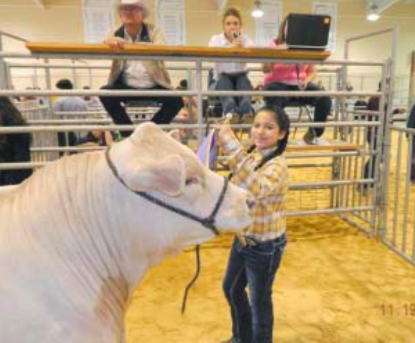 The club volunteers annually at the event, which is sponsored by the North Channel Area Chamber of Commerce. The Channelview High School Interact Club received Rotary International’s Presidential Citation Award for their exemplary level of involvement in community service projects. Channelview’s Interact Club is one of the largest in the area with more than 70 members and is sponsored by the North Shore Rotary Club. Over the past year, the Interact students have participated in more than 40 community service projects. 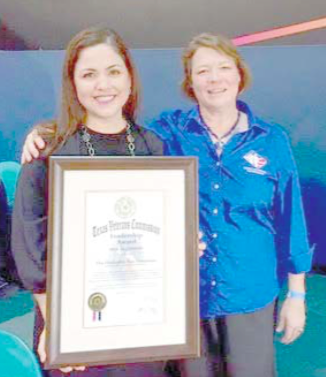 HOUSTON, TX — Representative Ana Hernandez was honored with a Legislative Leadership Award by the Texas Veterans Commission during its “Women Veterans Roll Call” event at Space Center Houston from November 19 to the 21st. As the author of House Bill 867, Hernandez established the Texas Women Veterans Program during the 84th Legislative Session, a permanent agency tasked with assisting Texas servicewomen as they transition to the civilian workforce.